Check Into Cash is a cash advance service company that has been around since 1993. Its headquarters are in Tennessee, but the company has over one thousand branch locations in 30 states. In addition to in-store loans, Check Into Cash also offers quick, reliable, and convenient online loans and promises conditional approval immediately upon submitting the request. In addition to payday loans, which are their primary service, Check Into Cash also offers title loans. 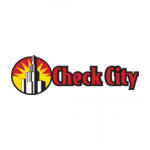 Take a look at our Check Into Cash review and find out more about this payday loan company. This company is ranked #3 on our Best Payday Loan Companies list. Insufficient information on fees and rates. How Check Into Cash Works? Check Into Cash offers fast payday loans to everyone in need of some quick cash. It works similarly to other payday loan companies – it allows you to borrow a sum of money, usually not a very large one, and pay it back with your next paycheck. These are short-term loans that do come with high rates, but they don’t do much damage because of the short repayment term. Check Into Cash is a direct lender, not a middle man between you and a third-party financial institution. When you take out a loan from Check Into Cash, the money comes directly from them and your confidential information is not passed to anyone else. This is one of the biggest reasons why most people prefer direct lenders to those simply working with third-party affiliates. You can apply for a loan online or in a retail location. Many people prefer applying online because it is faster and more convenient. Depending on a number of factors, including your state of residence, you can borrow between $50 and $1000. After your application is approved, the money will be deposited into your account, which usually happens the following business day. These short-term loans are to be repaid by the next payday. Check Into Cash requires all their applicants to be 18 or older (19 in Alabama), to have an active checking account of at least three months, be a citizen or permanent resident of the USA, and have a valid phone number and email address. The company accepts requests 24/7, all year round, but they are actually processed only between 9:00 AM to 7:00 PM (EST) Monday through Friday. All the information you send when you apply is confidential and secure, thanks to encrypted connections. In many cases, you may have to submit additional documentation, which is best if done via fax. Finally, those with a not-so-great credit score will be pleased to hear that Check Into Cash does not look into your credit rating and does not use it as a factor in deciding whether to approve your loan. As we already said earlier in our Check Into Cash review, this company offers both online and in-store payday loans. Online application is very easy and convenient, as you can do it from your home or office without bothering to find the nearest store. The application process takes only a couple of minutes, especially the initial part, since you only have to provide some essential information. Applications are usually processed within a couple of minutes, as long as you are applying during working hours. After this, you will get pre-approved and you will have to e-sign your application to confirm your funds. Someone from the company will probably try to reach you on the phone so make sure to provide a valid phone number and to be available, as they will need some additional information before proceeding to deposit the loan into your checking account. You may also be asked to fax in some documents. Some of the things you will probably be asked for include your social security number, a photo ID or a driver’s license, your checking account number, your bank’s routing number, and some proof of income, such as your recent pay stub or similar proof. As for the in-store application process, you will write a personal check for the cash advance plus the fee, which the company will hold until your next payday. You will get the cash and repay the loan plus the fee when you receive your next paycheck. The way all payday loans work is that you repay them when you receive your next paycheck. This will happen automatically – the money is either electronically withdrawn from your checking account or the check you left in the store (for in-store loans) is cashed on the due date. If you want, you can also make an early payoff, but for this you will have to contact the company directly and arrange everything with them. Although their website does not provide any precise information on what happens if you fail to repay your loan, it is clear that this is something you definitely want to avoid, since the fees will definitely pile up and, in some cases, delinquent accounts will be turned to third-party collection agencies. 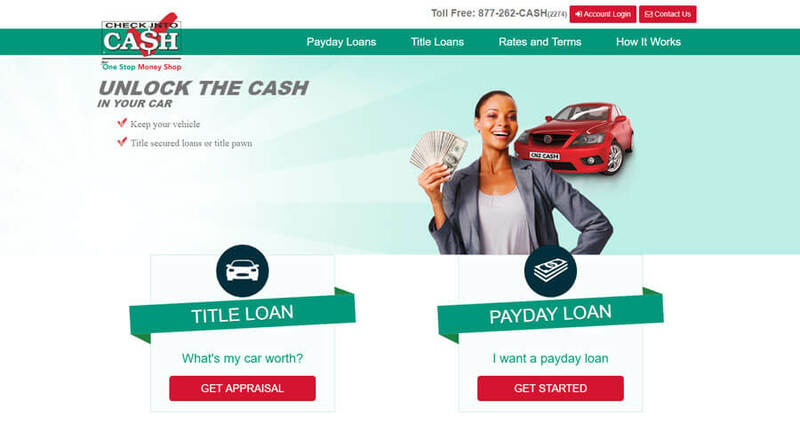 As you can probably gather from our Check Into Cash review, this payday loan company helps you get a payday loan in a very quick and easy way, usually the day after your application is approved, and thus helps you when you are in a desperate need of instant cash. The process really is very convenient and fast and online applications are encrypted. However, like all payday loan companies, it absolutely does not work as a long-term or even a medium-term financing solution, since fees and rates are rather high. Moreover, we were very disappointed the company did not provide enough information about repayment. There is plenty of other information regarding the way the company handles their business but this sort of information is essential to new borrowers and should definitely be readily available. I used Check Into Cash once, when I needed a couple hundred bucks for an emergency trip. The money was deposited in less than 24 hours, which was surely appreciated on my side. The fees were not terrible, for a payday loan company, and I managed to make full repayment on time. The staff at Check Into Cash is pleasant and helpful but when I failed to make my repayment they turned into real stalkers. I managed to pay up with the following paycheck, fortunately, otherwise they would never have left me alone. I actually preferred going to a store for a loan because I don’t trust computers and god only knows who’s watching but unfortunately where I live they don’t have any local branches so I had to do the online thingy. Still, it was quick and relatively painless. Excellent, lighting-fast and trustworthy service from the good folks at Check Into Cash. I always make extra sure to make my repayments on time, so I haven’t had any negative experiences with this company.